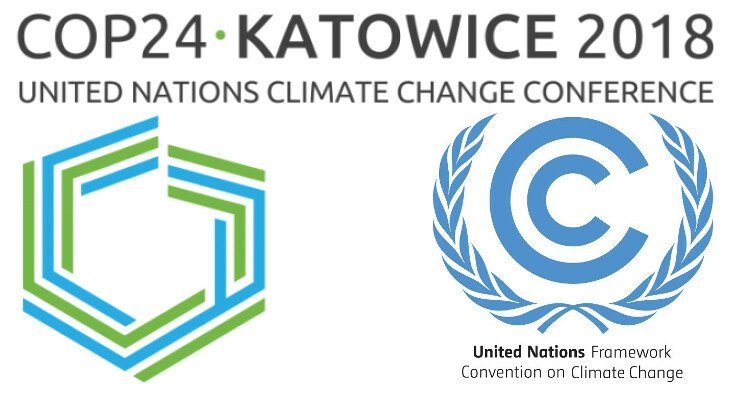 The United Nations Framework Convention on Climate Change (UNFCCC) Conference of the Parties (COP) 24 was held in Katowice, Poland, between 2 and 14 December 2018. At this occasion, Darrel Danyluk, leader of the Climate Change Adaptation theme for the WFEO Committee on Engineering and the Environment (WFEO-CEE), Past-President of Engineers Canada and Past-Chair of WFEO-CEE, represented WFEO with the support of David Lapp, leader of the Sustainable Practices for Engineers theme for WFEO-CEE and Practice Lead, Globalization and Sustainable Development at Engineers Canada, co-organized 3 workshops. 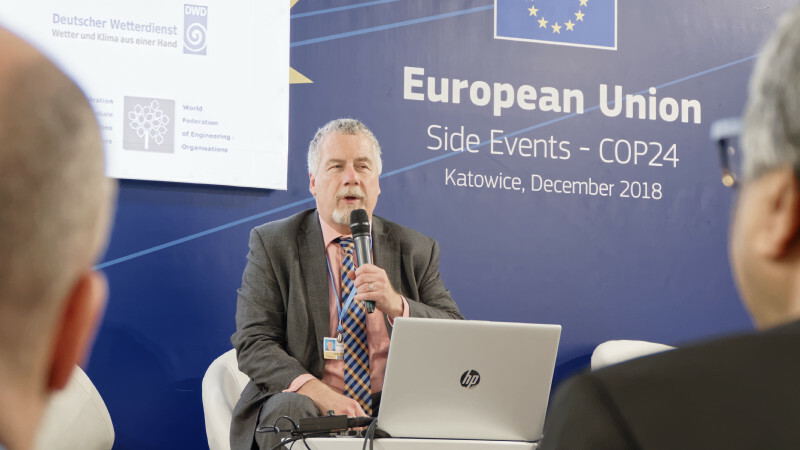 On Monday 10 December 10 2018, WFEO, its national member Engineers Canada and the German International Development Agency (Deutsche Gesellschaft of Internationale Zusammenarbeit GmbH aka GIZ), delivered the workshop, also referred to in COP as a side event, entitled ”Progress and prospects: The implementation challenge of adaptation within the Paris Agreement”. 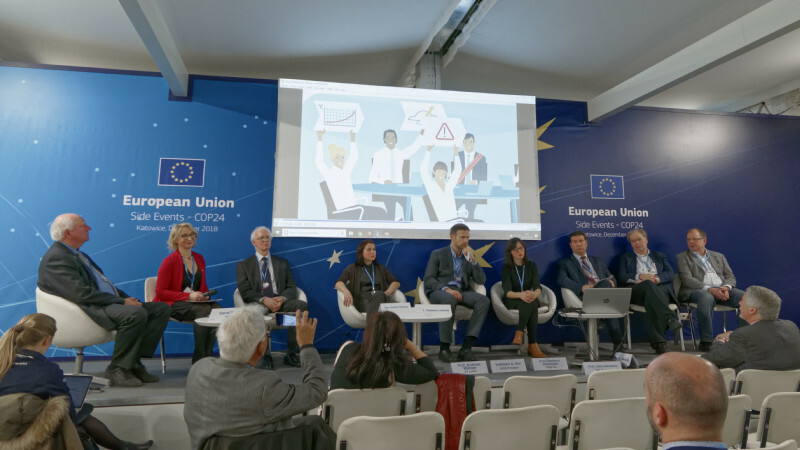 The side event was led by Lidia Żakowska, from the WFEO National Member the Polish Federation of Engineering Associations (Naczelna Organizacja Techniczna). Over 80 people attended the 90-minute session. Insights from two countries (Mali and Costa Rica) related to policy experiences on adaptation planning and implementation processes were presented along with an intervention from a participant from India. 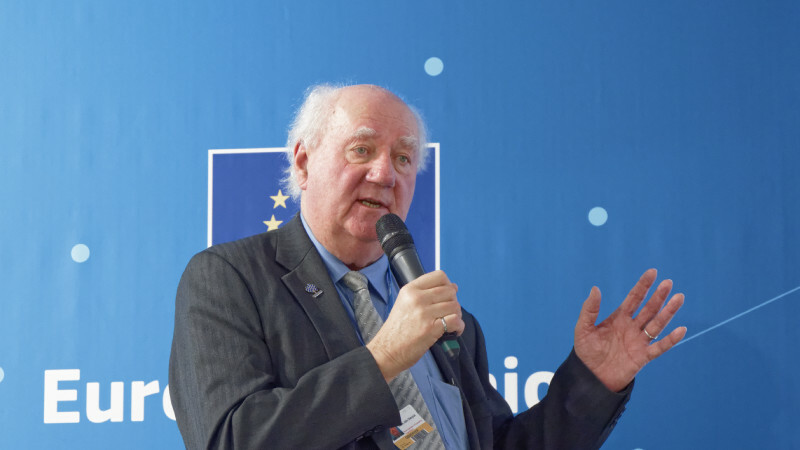 Lessons learnt through expert contributions shed light on the importance of capacity development, needed cooperation between sectors and government levels as well as the essential inclusion in national budget cycles and monitoring systems. 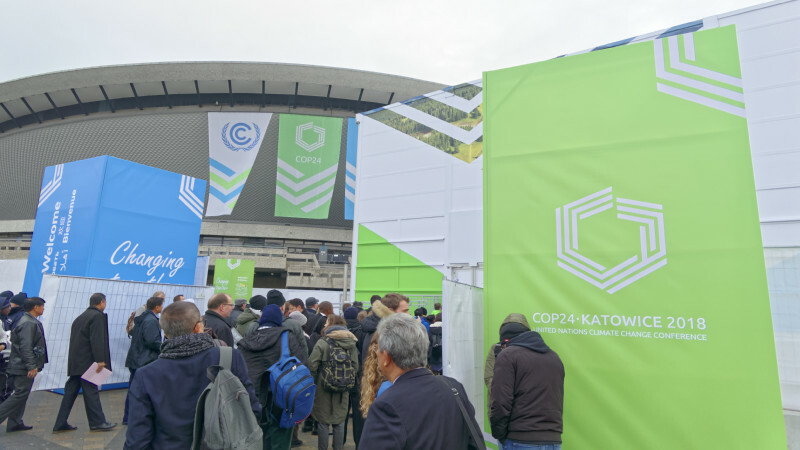 The role and contributions of national and international climate change expertise towards implementing adaptation, requires a mixture of international cooperation, climate change information services and professional technical knowledge from engineers associated with the WFEO. Darrel Danyluk delivered some remarks on the role of engineers in climate change adaptation and WFEO. There is a need to embed updated climate design criteria into new infrastructure that reflects future climate. But equally important is to upgrade existing infrastructure to become more resilient to frequent and extreme weather happening now and more often in future as well as our changing climate over the long term. Engineers take this very seriously and part of the path towards solution is understanding current and future climate risks and vulnerabilities to existing and planned infrastructure. The country of Mali explained its focus on engaging an existing governance structure to implement a roadmap of a 2015 national adaptation strategy with assistance from GIZ. A proposal to implement adaptation at a local level is in development. Mali has integrated its National Adaptation Plan with the Nationally Determined Contributions through a circular process that includes governance, communications, capacity building, adaptation (NAP), mitigation and finance. The representative from India on the panel could not attend due to negotiation commitments but an intervention from an Indian delegate from the floor explained that India has focused on innovative financing of adaptation measures that include a domestic adaptation fund on climate change that can finance individual states. Local funding on a development plus approach where adaptation measures are included and financed. David Lapp delivered a speech on behalf of the Costa Rica senior negotiator Andrea Mesa who could not attend due to negotiation commitments. The following is an extraction of her remarks. Costa Rica suffers greatly from the impacts of climate change and extreme weather on its infrastructure. In the time from 2005 to 2017 the National Emergency Commission (CNE) of Costa Rica registered losses of USD 1,5 billion accrued by infrastructure in Costa Rica due to extreme hydrological events. This does not include indirect losses caused by the interruption of servicesThe Costa Rica experience. The Controller General (Audit Office) of Costa Rica has identified extreme climate events as major risk for the public treasury, affecting public infrastructure, health and societal well-being in general. They estimate that up to 2025, between 0,68% and 2,5% -depending on the underlying scenario – of GDP will be absorbed yearly by losses due to extreme events. 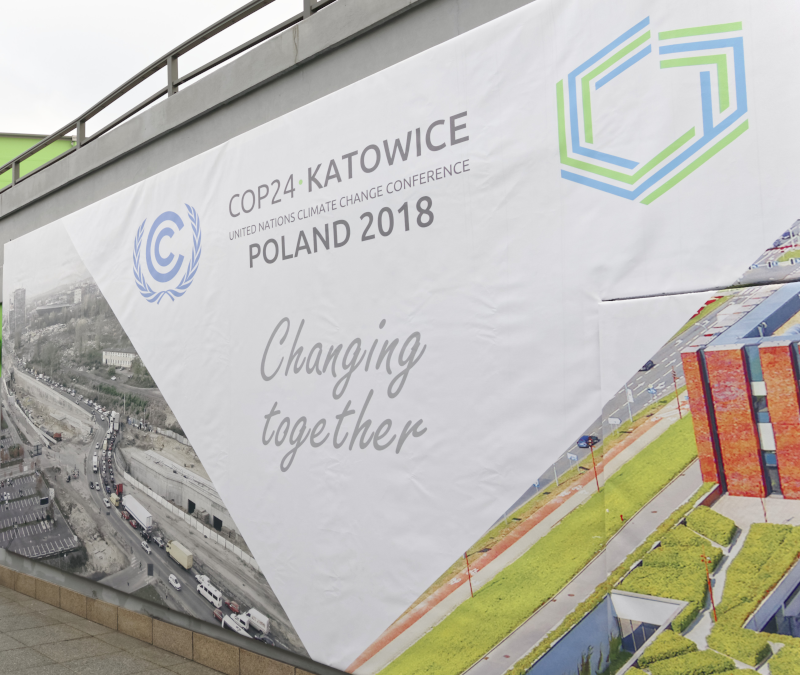 Accordingly, they have recognised the urgency of climate-proofing future investments as well as retrofitting and building back better when recuperating infrastructure as well as that of creating the necessary regulatory framework incorporating climate-proofing. Costa Rica has developed its National Adaptation Policy, which was adopted in April this year. A key element of this policy is adaptation of public infrastructure. 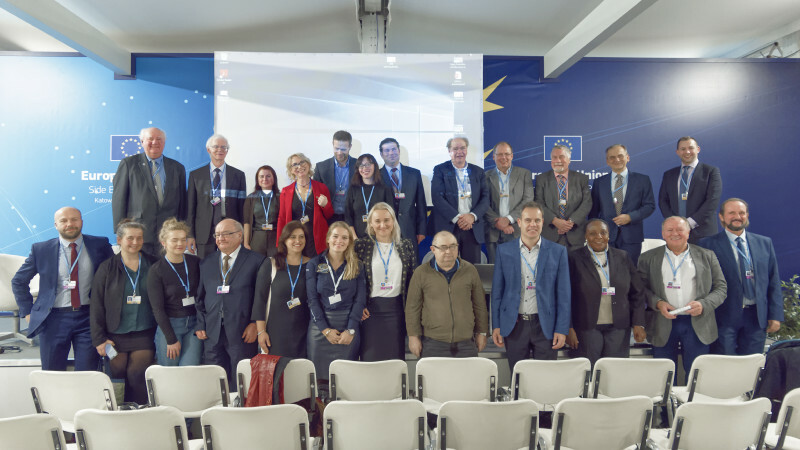 A key governance element for the process of developing and implementing the National Adaptation Policy are thematic working groups that have been established and in which all the key actors come together. Interdependencies across different infrastructure sectors make this type of cooperation critical as e.g. due to cascading effects failure in one infrastructure, such as electricity, leads to the failure of others such as hospitals, schools etc., making it necessary for ministries to join forces for effective adaptation planning. Another important change agent is the College for Engineers and Architects (CFIA) which serves as the WFEO national member for Costa Rica. CFIA are the key actor guiding the engineering profession in Costa Rica, developing building codes and providing certifications for Engineers. Hence, they also assume a key role in climate-proofing the infrastructure in Costa Rica. Thanks also to their cooperation with Engineers Canada in the context of the WFEO, CFIA has been working together with infrastructure owners in Costa Rica on climate risk assessments for infrastructure, with the objective of identifying appropriate adaptation options. CFIA is in the process to develop a risk assessment tool for Costa Rica based on the PIEVC Protocol from Canada, which will be tailored specifically to the needs of Costa Rica and has been part of the strategy laid out in the NAP. 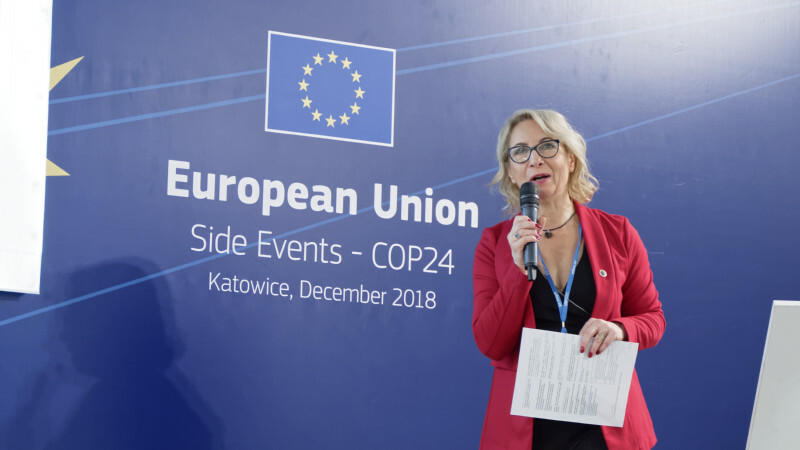 In this, Costa Rica is supported by the German Federal Ministry for the Environment, Nature Conservation and Nuclear Safety (BMU) in the context of the project “Enhancing Climate Services for Infrastructure Investments (CSI)”. The remarks from Andrea Mesa were followed by an explanation of WFEO and Engineers Canada’s work with GIZ on infrastructure climate risk and vulnerability assessment using the PIEVC Protocol to build local capacity and knowledge in Costa Rica. 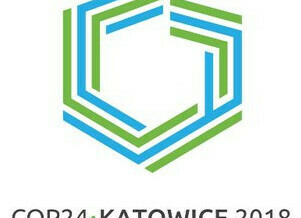 A recording of the session is available through COP 24.